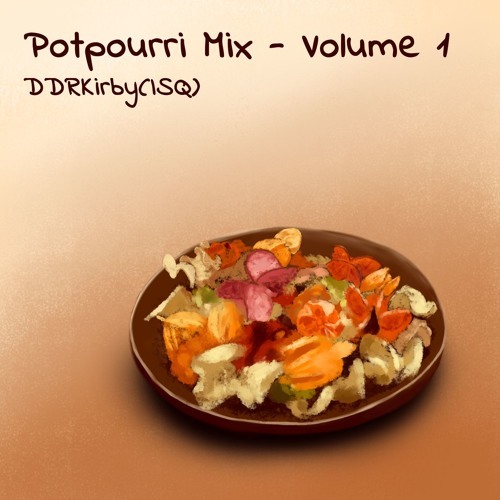 Available now: https://ddrkirbyisq.bandcamp.com/album/potpourri-mix-volume-1 The first release in a series of mashup compilations! Each Potpourri track is a mashup of many DDRKirby(ISQ) songs from other albums. This album also features a guest mashup by Chirigami Zed, "L-N-A Dez-WAC", which throws every track from "All in a Day's Work 2" into a blender along with a bunch of crazy sauce. PLUS! Also includes the Potpourri Volume 1 Megamix, which strings together Potpourri 1-6 in a 30-minute long epic chiptune saga. Sweet!!! Want to know the source tunes for each mashup? Timestamped source listings are included in the album download, or just click on each individual track to see the listing. This mix is absolutely fantastic!! Dammmmmmn, this is one impressive megamix!